Just weeks after promising to look into the prospect of establishing an Australian diplomatic presence in Jerusalem, Foreign Minister Julie Bishop has ruled out the possibility. Bob Carr’s attacks on Israel and silence on China highlight his hypocrisy, writes Labor MP Michael Danby. 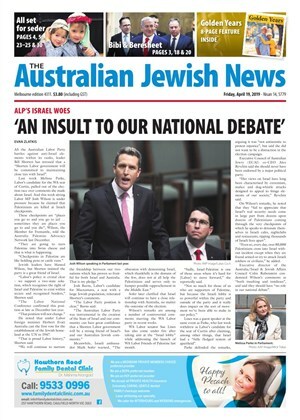 Australian Prime Minister Malcolm Turnbull exclusively told The AJN this week that he will travel to Israel later this year to mark the 100th anniversary of the Battle of Beersheva. 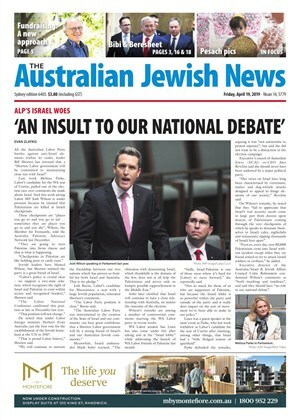 An overhyped talkfest – that is the consensus among Jewish leaders in Australia about the January 15 peace conference in Paris. A PALESTINIAN American journalist who says ,“The two-state solution as typically expressed is no more than a last-ditch plan to save Zionism” is set to visit Australia next week where he will address a number of public events. ANTHONY Albanese is unashamedly pro-Palestinian. A founder of the federal Parliamentary Friends of Palestine, the new Deputy Prime Minister is, by his own admission, “very critical of a lot of Israel’s policies”. WITH an election in the air, it seemed somewhat poignant on Monday that Prime Minister Julia Gillard was chatting with The Australian Jewish News in her office.